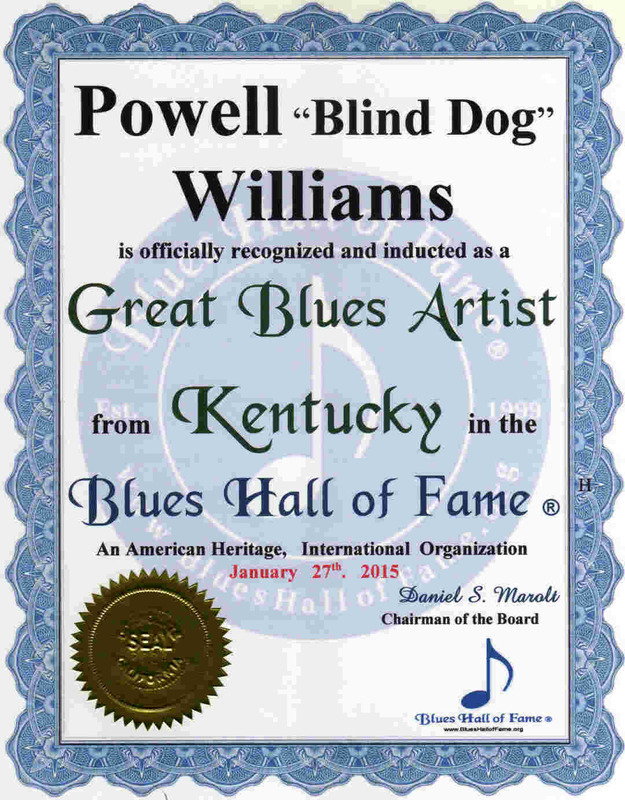 . . .. . . . . . . . . Kentucky, Blues Hall of Fame ® . .
Powell Williams "Blind Dog" passed this morning 1/22/12. 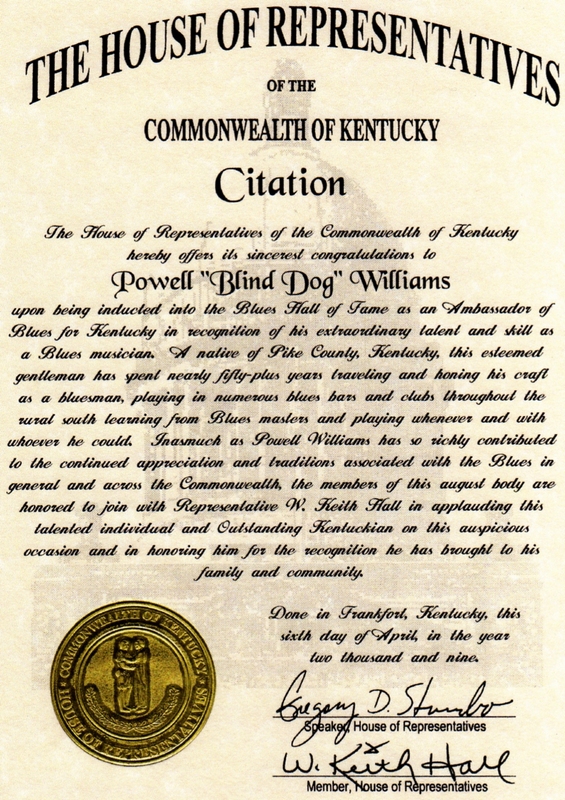 Powell "Blind Dog" Williams inspired myself and many others. He was a wise and understanding man who I always turned to for advice. 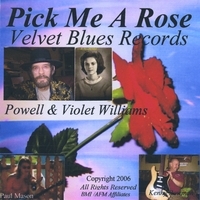 Mr. Powell Williams is a true man of the blues with a distinct voice that brings back memories of southern country gospel blues like I remember from the cotton fields of my uncle down in South Georgia. His voice will get you to thinking about those old songs that the black men and women used to sing as they worked in the fields. 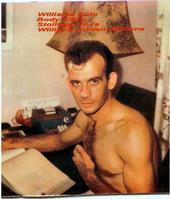 Not knowing much about the south, since he was born in Pike County, Kentucky. Powell took off in the 50's to find out about the blues. As he traveled down the red clay roads of Georgia he had no idea where to find the men, who played that wonderful music he had heard on the radio. Finally he found a man sitting on a porch of an old shotgun house strumming on an old Stella guitar. Without knowing any better he parked his car and approached the man explaining that he wanted to hear the music. That day old Willie invited Powell into his house and after several hours of listening to him he was a changed man. Going back home he purchased a harmonica and some old records and started learning how to play the music. To this day he has never looked back. Powell "Blind Dog" Williams toured the southern byways playing his music with all the other greats of that day. 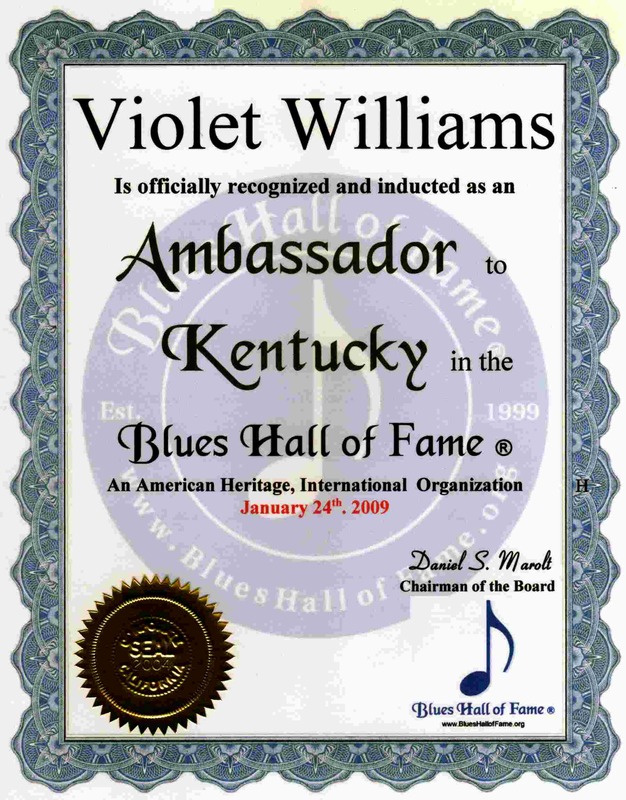 At the age of 70 he still plays his music along with his wife, Violet and was inducted into the Blues Hall of Fame as the Ambassador of Kentucky this past January. He and his music can be found at the following site: www.myspace.com/powellwilliamsandthevelvetblues. Please go check him out and I'm sure you will become a fan. 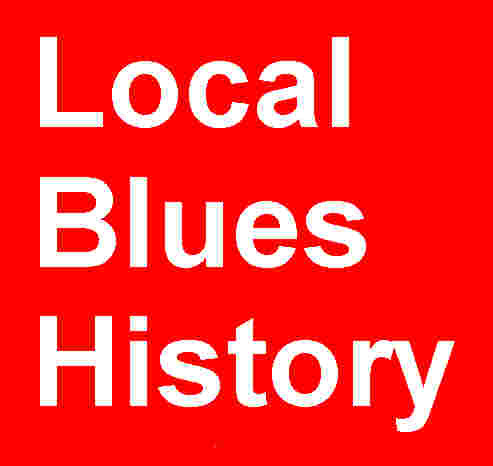 .. ... . . .
Blues Hall of Fame ® appreciates your participation. Please List the Legendary, Master and Great Blues Artists of Kentucky their Web Site or Email Address, and any Reviews or Comments.